In its own right, Leland, NC has developed a modern business corridor where nationally known stores and restaurants can be found, and it has a number of championship golf courses that are available to the public. The proximity of Leland to Myrtle Beach, SC, as well as to the ocean beaches makes it a very desirable location for retirees and those seeking to relocate. Established in 1981, this nonprofit volunteer organization is Brunswick County's primary arts information and funding source. Nonprofit arts funding is channeled to this group from the North Carolina Arts Council. With money received each year, the Brunswick Arts Council provides financial assistance to local nonprofit arts groups through Grassroots Arts Program grants; sponsors community events such as Concert by the Sea; and sponsors the Brunswick County Arts Council Art Show. At present you will find galleries and dance schools in Leland, NC and theater arts, music, museums and other arts venues in the surrounding communities. The Brunswick Community College Odell Williamson Auditorium is a 1,500-seat state-of-the-art facility on the campus of Brunswick Community College. It offers entertainment such as the North Carolina Symphony, the U.S. Marine Band, the Kingston Trio, Jerry Reed, the All American Boys Chorus, the Tommy Dorsey Orchestra, The Lettermen, Lee Greenwood, Ronnie Milsap, Pebo Bryson, Willie Nelson, a presentation of The Odd Couple starring Jamie Farr and William Christopher (Klinger and Father Mulcahey from the TV show M*A*S*H), Kathy Matea, John Berry, Roy Clark, North Carolina Dance Theatre American Masterpieces and various national touring companies performing such classics as Death of a Salesman and Steel Magnolias. The recreation department of the Town of Leland, NC hosts a yearly Youth Art Day, a day of fun and learning about the different aspects of art. Youth Art Day has hands-on art stations where you can create pottery, crafts, wood turning and more as well as participate in African drumming. Activities at this free event are geared to children ages 8 and older but all children are welcome to attend. The food at the restaurants in the Leland, NC area runs the gamut from hamburgers and pizza to haute cuisine. There are great restaurants here. Whether you taste buds are set for fresh seafood, Carolina-style barbecue, steak, Italian, Mexican or Asian food, you will find it all here. Vegetarian dishes are available as well. Why not try P.T. 's Olde Fashioned Grille on Grandiflora Drive for a freshly grilled burger or chicken sandwich? This restaurant has been consistently voted ‘Best Burger’ by the participants in the annual poll taken by Wilmington’s Encore Magazine. At Charlie Macgrooders, on Village Road, you will find American, Italian, Mexican and Asian inspired dishes as well as sandwiches, fajitas, pastas and traditional entrees. For true Mexican fare you may want to wander into San Felipe Restaurante Mexicano on New Pointe Road. The lunch-only options number more than 26, and another combination list offers 30 more. For your cup of Joe you can go to Port City Java on Olde Waterford Way. The Leland, NC area is growing its retail and shopping opportunities all the time. The quality shops in Leland, NC are new, clean and modern. It used to be that everyone headed to nearby Wilmington, NC for everything they needed, but that is not the case anymore. While Wilmington’s shopping options are much more extensive, the Leland area stores offer nearly anything you could need as well as just about anything you could want. Grocery stores, superstores, boutiques, galleries, shopping villages, antiques stores and more are found here. You will find Olde Church Antiques on Blanton Road in Supply, NC. You can also find recycled goods, consignment stores and thrift shops as well as a variety of eco-friendly services and products. In Leland you will find national chain department and grocery stores as well as unique shops that are locally owned and operated. Brookelynn Premium Cigars and Murray Art and Frame are two of these. At Brookelynn Premium Cigars you will find a collection of more than 100 brands of fine cigars. If what you’re looking for isn’t there, the friendly staff will find and obtain it for you. Brookelynn’s also has a quality selection of blended tobaccos, pipes, humidors, travel cases, flasks and other accessories. Stop in and enjoy their cozy smoking lounge and ask about joining their Cigar Club. As the name says, Murray Signs and Graphics is the spot for custom t-shirts, specialty signs, window/storefront signage, large format signs and banners, vehicle wraps and lettering, and promotional signs. Owner and pencil artist George Murray, along with his knowledgeable and friendly staff, will help you get exactly what you need, whether it be a wood or metal frame, a shadowbox for memorabilia or local artistic creations. They even boast a massive printer, so you can get banners, outdoor signage or cut-out letters any length you like. If you want to spend the day bargain hunting, the outlets of Myrtle Beach, SC, are within easy driving distance. Two recently built, modern and beautifully appointed hotels in Leland, NC are Best Western Westgate Inn & Suites on Towne Lake Drive and Comfort Suites Wilmington Magnolia Greens on Grandiflora Drive. At the Best Western you can enjoy the complimentary full hot breakfast, cocktail lounge, heated outdoor pool and hot tub, exercise facility, business center and meeting space. The specially designed Comfort Suites Magnolia Greens offers custom decor, hardwood floors in the lobby, a tiled breakfast area, a business library with a pantry, high ceilings, an indoor saltwater pool, an outdoor patio and a fully equipped fitness room. Complimentary continental breakfast is included. For more choices you can head south in Brunswick County or north on US 17 to Wilmington, NC. You may find that you will be able to arrange an extended stay in one of the local hotel suites. Along with the growing population, real estate in the form of new homes, apartments and long term rentals has been increasing exponentially. Pointe South Realty on Gregory Road in Belville, NC is the exclusive agency for a number of the developments you will likely be considering for your new home. Pointe South Realty specializes in the sales and marketing of new home communities. Agents are on staff seven days a week for private tours of their communities and model homes. 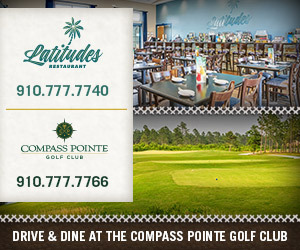 Compass Pointe in Leland is a walkable coastal neighborhood that that offers tennis courts, pools, splash parks, fitness centers, a lake beach, a dog park, bike trails, a River Club, 27-holes of championship golf, an 18-hole putting course, putting greens, a sports and wellness center, canoe and kayak launches, and even a soccer field. The Bluffs on the Cape Fear is a dockable, gated community. Amenities include extensive nature trails and parks, a clubhouse, a fitness center, indoor and outdoor swimming pools, lighted HarTrue tennis courts, a private beach club on Oak Island, a waterfront park with transient slips and a boat launch. Brunswick Forest is a flourishing new community situated on 4,500 acres of woodlands, creeks, forests and natural areas. More than 1000 families now call Brunswick Forest home, making it the fastest growing community in the Coastal South. Amenities in place today include 18 holes of Championship golf at Cape Fear National, a Fitness and Wellness Center, a Community Commons, a River Club and more than 100 miles of paths and trails. New Hanover Regional Medical Center operates a 40,000-square-foot medical office building and Lowes Foods just opened a 44,000-square-foot grocery store in The Villages at Brunswick Forest, a major retail, professional and entertainment center at the community's entrance. Waterford of the Carolinas is an exclusive development with reasonably priced homes in a tranquil setting that is filled with amenities. With shopping, golf, water access and many other perks on site or next door, Waterford residents enjoy a prime location tucked right in the heart of this burgeoning area of northern Brunswick County. You can choose your home from any of the models available or build your own custom dwelling to suit your needs. In addition to the many nearby golf courses, you will find three in the Leland, NC area. Cape Fear National at Brunswick Forest is the newest course and is open to the public. It was designed by Tim Cate and has already won a number of awards. In playing this course you will enjoy its many bridges, three waterfalls, beach bunkers and a variety of native grasses and wildflowers. You will find Magnolia Greens Golf Course in Leland. It is a public course with 27 holes which was designed by Tom Jackson and has hosted several PGA Tour qualifying events. Instruction in playing golf is available here as well. Carolina National Golf Club at Winding River Plantation is located in nearby Bolivia. A Fred Couples facility, it has 27 holes in three nines. You can warm up at the putting and chipping green as well as the driving range. If you are interested in historical places and enjoy exploring ruins, you will appreciate the Brunswick Town/Fort Anderson State Historic Site in Winnabow, NC. It is the site of the he first successful permanent European settlement between Charleston, SC and New Bern, NC. You can explore the site by following the paved ADA walkway which allows you a full-circle, handicapped accessible trail. You can also stop at the visitors’ center where you will find a research library, an exhibit hall, a 14-minute video presentation that you can view, and a gift shop. St. Philip's Parish is situated in the Old Brunswicktown State Historic Site. You can explore the rectangular shell with 3 foot thick, 24 foot high walls as well as some Colonial-era graves nearby. Services are sometimes held within the ruins and encampments, re-enactments and other events such as An 18th Century Christmas and Fort Anderson Civil War Living History are regularly held at the site. You will find a number of parks in the area as well. At Brunswick Nature Park in Town Creek, NC you can hike or bike the more than 900 acres. You can take your kayak or canoe and enjoy the day plying its waters. Another large park you will enjoy is Ev-Henwood Nature Preserve which is administered by UNCW. You can explore its 10 miles of hiking trails, wander the banks of Town Creek, enjoy educational displays and find the old tar kiln on the property. Sturgeon/Mill Creek Water Access Park in Leland, NC is the town's first water access site and is made up of more than 28 acres of wetlands and uplands. This park is another great place to put your kayak or canoe in the water and enjoy the scenery as you paddle. More parks and plans for expansion as well as new amenities are in the works. In the summer of 2013 the Town of Leland completed the first phase of the Sturgeon Creek Environmental Education Park. This park, made possible by a grant from the NC Department of Environmental and Natural Resources' Division of Coastal Management water access program, will include public parking, canoe and kayak launch, dock suitable for fishing, an outdoor classroom and the conversion of an existing building into an environmental education center. The park will provide access to Eagles Island, which groups have been working to designate and protect as a natural conservation area. Twelve endangered species exist within Sturgeon Creek and Eagles Island, and this park provides unprecedented access to the area.